To be very frank - I've been going through a rough patch. Can't run anymore, feeling half my normal self. Just not up to things and just not sparking as I always was. I've been reading, as I do when I step back in order to jump ahead. Came across an old essay I laminated, by George Sheehan about running. I'd look at it day in and day out over the years and it always gave me sustenance. Its magic will do so again I believe. I remix it here for you. 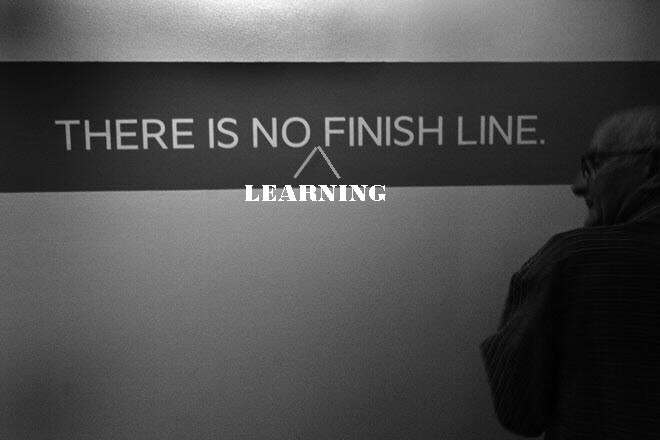 About learning. The original is about running but the same applies to all us teachers, all us learners. If we stop learning, we die, we shrivel up. I think at the end of the day, I ran because I learned so much while running - so much was I in my homeless mind! Excellence is not a diploma attained and put in a trophy case. It is not sought after, achieved and, thereafter, a steady state. It is a momentary phenomenon, a rare conjunction of body, mind, and spirit at one's peak. Should I come to that peak I cannot stay there. I must start each day at the bottom and climb to the top. And then beyond that peak to another and yet another. I must keep learning. Through learning I have learned what I can be and do. My body is now sensitive to the slightest change. It is particularly aware of any decline or decay. I can feel this lessening of the "me" that I have come to think of myself.